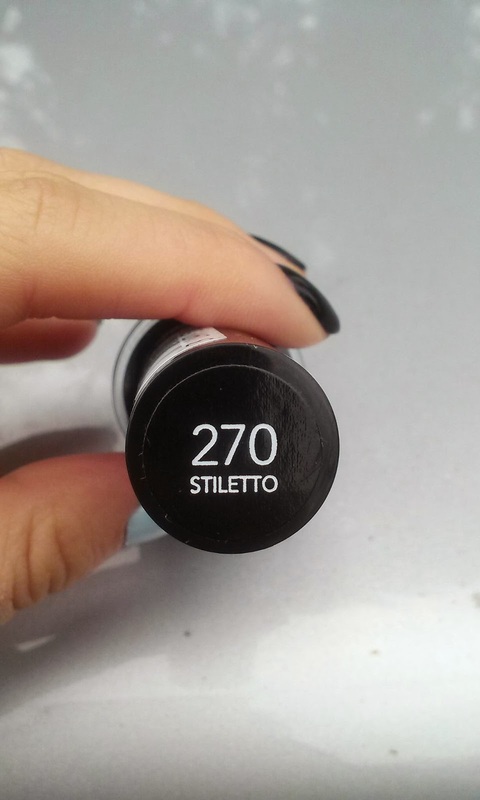 As i've mentioned before in previous posts reviewing the Revlon Colorstay nail polish line, this line by far is probably one of my most favorite nail polish lines out there that I have tried. It has a great formula and such pigmented color. 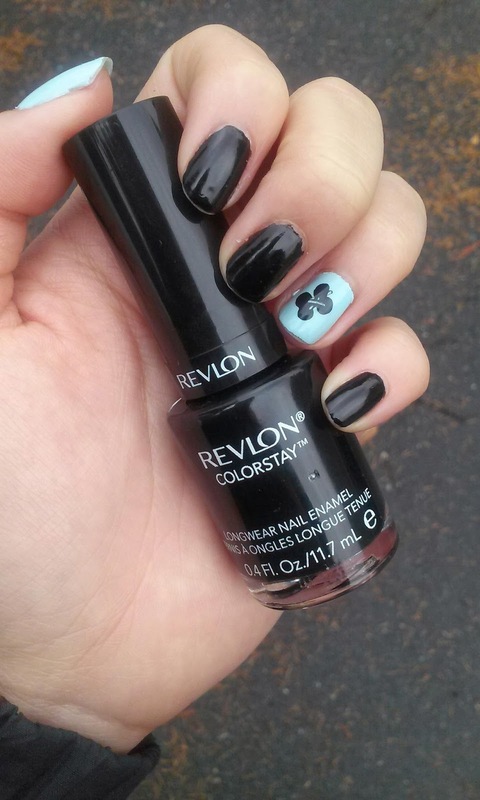 I used one layer of the Revlon Colorstay Base Coat and only one layer of Stiletto. The polish glided on smoothly and was opaque enough where I only needed on coat. I then topped it off with a coat of the Revlon Colorstay Top Coat. 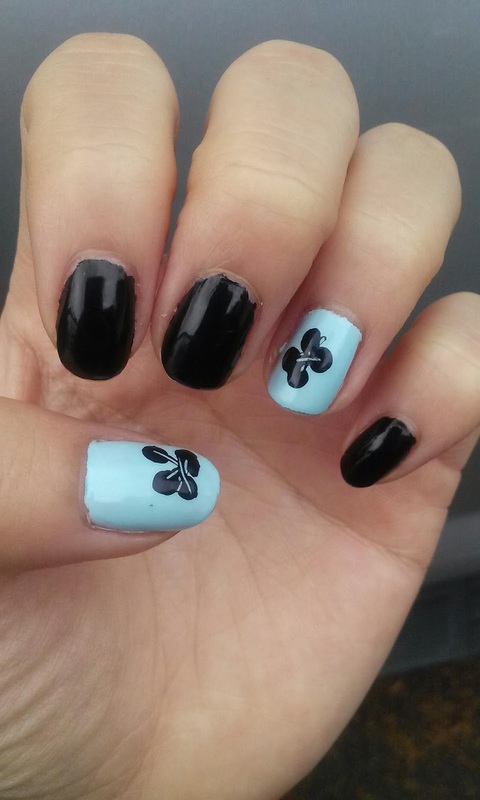 I wanted to do a little more with my nails instead of just all black so I decided to be semi-creative and use the soft sky blue color on my thumb and fourth finger and attempt to draw some wannabe flower on them with the black. I will say I could have done better, but for me, it's good enough! I think every body (or at least everyone who wears nail polish on the regular) should have a good black nail polish in their collection and I would HIGHLY recommend this one! This one has such a great formula and color pay off and lasting power, it's perfect! They range in pricing around $4.99-$7.99 so I would suggest checking out TARGET (where I bought mines) or Wal Mart since their pricing is the best for them. What's your favorite black nail polish?? Thank you! I'm pretty sure this is my favorite formula in the polishes I tried. Thank you for following and I will check out your blog soon too!